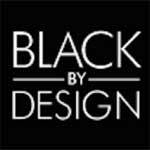 Black by Design are an online store that sells designer homeware and accessories. Their homewares are sleek and classy. Colourful homeware of different types are available for you to stock your home with or better still gift that special one for their weddings, anniversary, father or Mother's Day and any other reason for a gift you can think of. You can't go wrong with the quality products they have that are able to accentuate your home and give it that homey feeling. They are authorized to stock featured brands which have been known to provide best quality contemporary homeware like the Italian brand- Alessi and homegrown brand like Tweedmill. They also work closely with interior designers, hotel operators and restaurant owners to provide beautiful kitchenware and beds and bath ranges of product to them. Be it the kitchen and dining lighting or everything bed and bath related, they have got it. Their prices are market competitive prices and discounts and promotions are available from time to time. They offer free delivery on purchases made for customers within the UK mainland. However, express deliveries made for orders placed before 2 pm are delivered the next working day at an extra cost. Their customer service is superb and quite helpful.